Why does the name of Jesus stir both awe and animosity? Franklin Graham faced that question himself in April of 1999, just days after the tragic killing of students at Columbine High School shocked America and the world. Colorado's governor had asked Franklin to speak at the memorial service for families and friends. As a chilling drizzle soaked the crowd of 70,000, Franklin boldly urged all mourners to seek comfort, hope and salvation through the Lord Jesus Christ. Later, he received both congratulations and criticism for his remarks. To Franklin's surprise, even clergymen complained that the emphasis on Jesus was offensive. Later Franklin reflected,"Why is it when people curse using His Name, hardly anyone complains? But if you speak about Him with respect or pray in His Name, some people call it 'foul'?" The Name is Franklin's response to those questions. The Name explains, reveals, and honors the most important Person who ever lived. It is an articulate, passionate, motivating, and moving tribute to the One who bears the Name above all names and before whom some day "every knee will bow". 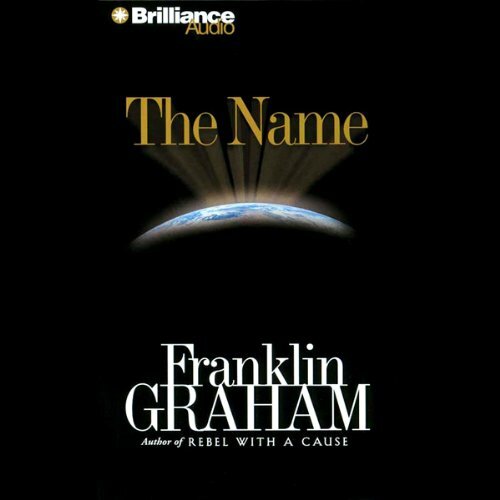 ©2004 Franklin Graham (P)2006 Brilliance Audio, Inc. The research, the story’s, examples pulled me in and held my attention totally. Great understanding, thank you!